Okaloosa Island is a barrier island, situated between Ft. Walton Beach and Destin, the island is famous for pristine beaches, water sports and numerous family attractions - making it a popular tourist destination where visitors can come play beach volleyball on sand so clean it squeaks, visit the boardwalk for shopping, dinning or entertainment...or go laugh with the sea lions at the world's oldest continuously running live marine show. 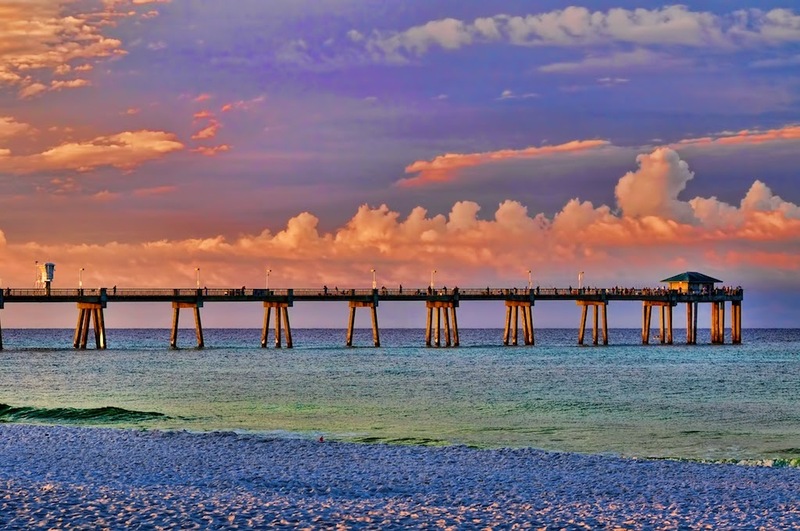 Okaloosa Island is connected to Fort Walton Beach via the Brooks Bridge and to Destin, Florida via the Destin Bridge. Both 4-lane bridges are part of U.S. Highway 98. The island is surrounded by water with Santa Rosa Sound and Choctawhatchee Bay to the north and the Gulf of Mexico to the south. The other major thoroughfare on Okaloosa Island is Santa Rosa Boulevard. One unit of the Gulf Islands National Seashore is also located on the island. Land a big one from the popular 1,261-foot-long Okaloosa Island Fishing Pier, a site where fishermen and anglers can tell their fish stories, the big-ones that got away, or even tips on what fish are biting and what bait they're having good luck with. Find out for yourself why families return to this area year after year, generation after generation, building life-long memories in the sand.